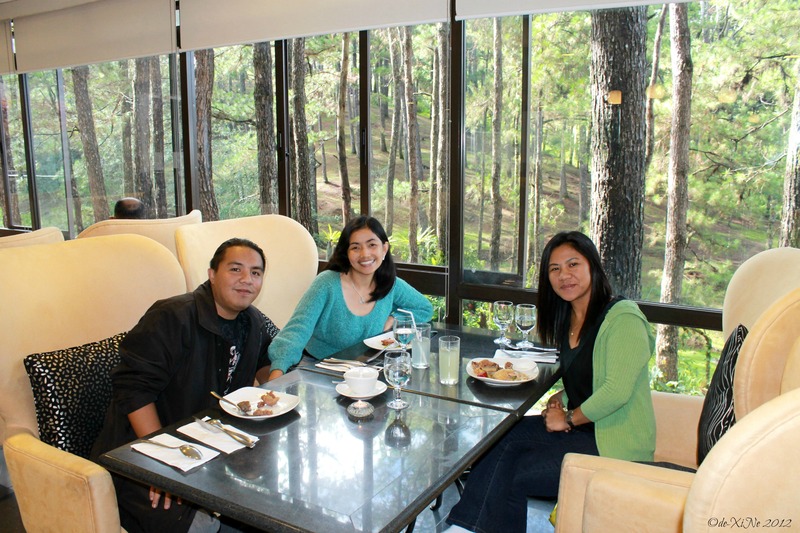 Dinelli’s Gourmet has long been a fixture at the Camp John Hay Filling Station (beside Strawberries and Ice Cream). I never really got around to visiting the place since I had so many other establishments on my list before it. When the Le Monet Hotel was being built, I saw through their big wide windows that they had a beautiful chandelier and big comfy looking peach colored chairs in their restaurant. I just had to bump it up my list just to experience it. So I scoured the net for their information when I heard that they were open for business. I found their details on Facebook and I made a reservation. Just a few minutes later, I got the confirmation and so breakfast buffet at Dinelli’s was on.